Oooh you’re right! Bananarama did a cover of it in the ’80s! Thanks Kate! Such a good idea – I’m going to have this for sunday breakfast one day. IN BED! HA! I love being an adult. Ooh So Good vanilla is a good sub, but it definitely has a strong soy flavour doesn’t it? What I want to know is what happened to all the other flavours they used to have – when I first went vegan I swear they had a coffee flavoured one too! okay. I have so many thoughts about this excellent post! 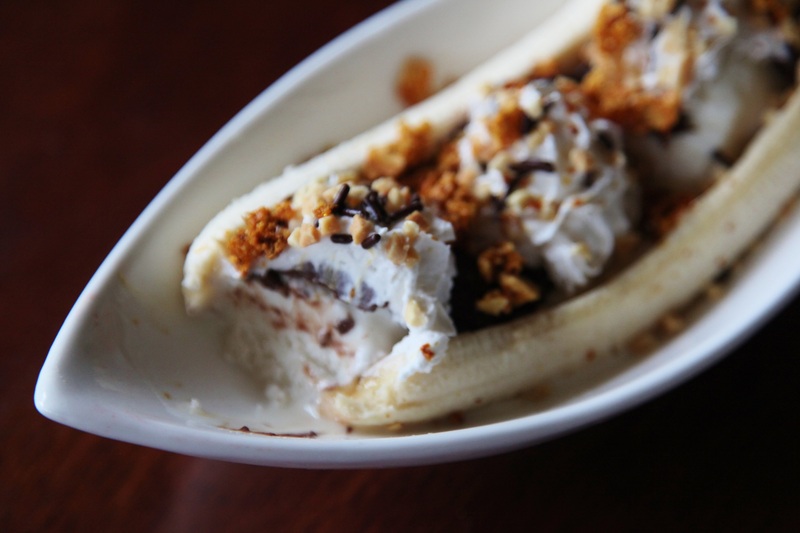 first of all – Bananorama and the Banana Splits in one post is totally excellent. 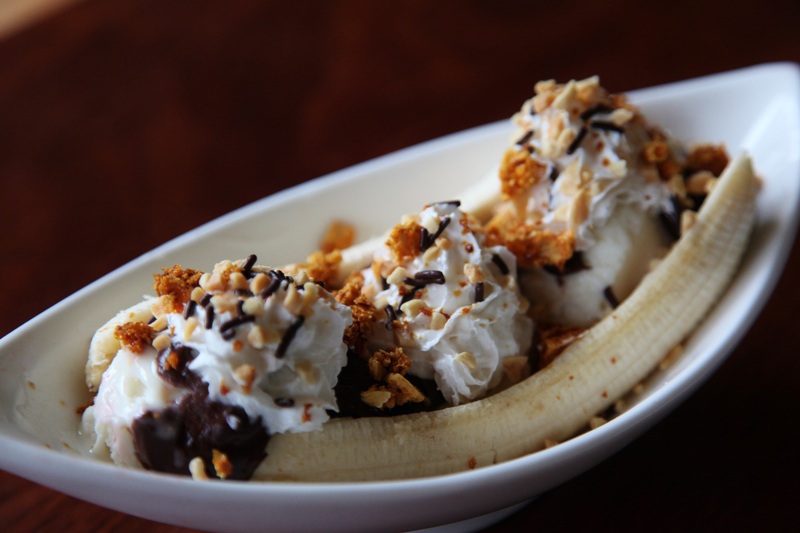 Secondly, that banana split looks so insanely epic and amazing and I WANT IT. I don’t think I’ve had a banana split for decades!! Thank you 😀 I am so in love with bananas, I just had to jam pack as many banana bands as possible hehe. 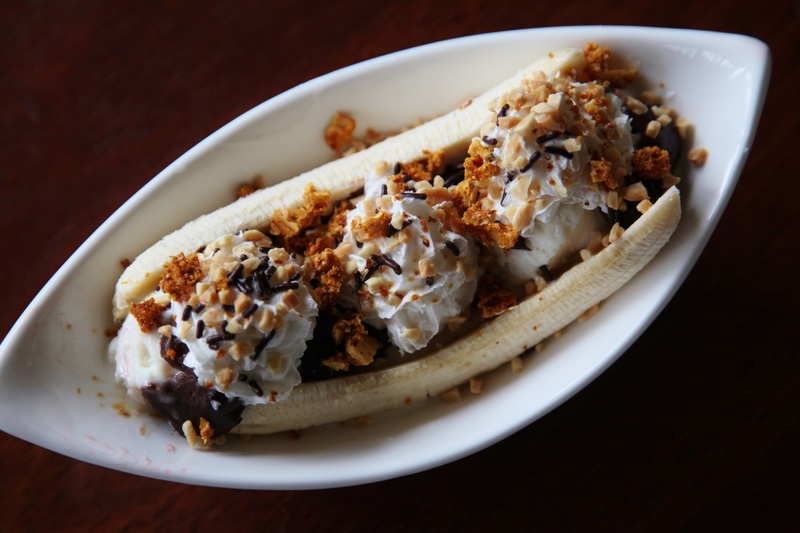 Yes – this was the first banana split I had had in ages too – far too long! Definitely will not let it go on that long without one again! I can’t believe I’ve never thought of it before – it seems so natural! For me, the picture of your dog stole the show. I think that’s a pretty big accomplishment on his part given that this is a post about ice cream. 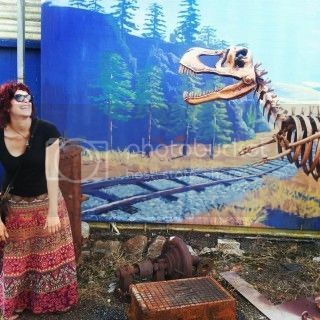 Haha, she’s pretty awesome isn’t she? She’s never far away when there’s food around – she knows where it’s at! Thanks Johanna! Bananarama are pretty cringeworthy, but I just love watching the daggy dances and hair-dos! Ruby looks like she is ready to inhale that banana split! I love Bananarama, I will be singing Venus all afternoon now! Ruby would probably inhale anything that she knows is people food, she seems to be most interested in it!